Scrambling for ways to find something in common with a captivatingly beautiful colleague who has a mentally challenged sister, ho-hum Jason hires his down-and-out actor pal, Troy, to pose as his mentally challenged brother. But just how long can the scheming friends keep up their elaborate charade? 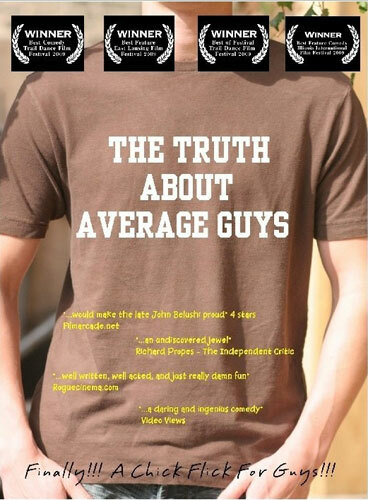 I found The Truth About Average Guys on Netflix and the description caught my eye, but what really pushed me to watch it was when I hopped over to IMDB and read that it was made for $5,000. I go into production on my low budget film in a few months, so I was really interested in seeing what someone else had done on a minimal budget. I’ll get this out of the way first: The production value isn’t spectacular, as would be expected given the amount of money they were working with. Some scenes were poorly lit, audio went in & out, and there were a number of jarring jump cuts and weird transition effects in the editing. That said, I absolutely love this movie! It is by far one of the funniest comedies I’ve seen in a long time. While the plot summary sounds like it could be crude and offensive, they didn’t go that route. The movie doesn’t make fun of the mentally disabled, but instead gets its humor out of the lengths to which an insecure guy will go to get the girl of his dreams. I’ve already watched TTAAG multiple times, and have made a point of showing it to a number of my friends. It really proves that with a funny script, a solid story, and good acting, you can make an entertaining movie even on a shoestring budget. On that level, this movie was really inspirational to me, and gives me hope for my prospects with shooting Uncommon Law. I’ve emailed back and forth a little with the directors, Ken Gayton & Jason Schaver of Adjusted Gratuity, and they’re really nice guys who gave me some good advice for my project. If you’re looking for a funny movie by some up-and-coming people in the industry, give this one a watch. 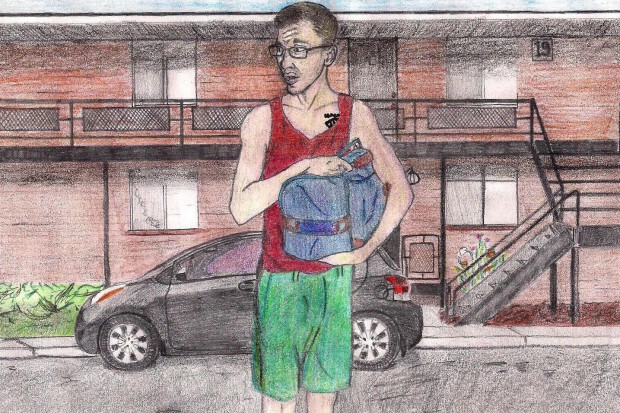 Lovelorn Justin sees his life change for the better when quirky April lands in the middle of it. When she’s abruptly kidnapped by a band of demons, Justin sets out to rescue her, with the help of the hellion Lo, who has an agenda of his own. Hell, musical demons and oversized rats complicate the path to love in writer-director Travis Betz’s horror-comedy hybrid. Lo doesn’t easily fit into any one genre, which is something I love about it. It seems to take a lot of inspiration from Buffy the Vampire Slayer, mixing elements of comedy, romance, drama, horror, action, and theatre into one melting pot of goodness. While this ends up being a strength of the film, the first fifteen minutes are a bit slow as it sets the tone and lays out exposition for the rest of the movie. The film is unique in that it all takes place in an empty, black room, with flashbacks playing out like scenes from a play in front of Justin and the demon Lo. It makes for a cool storytelling device, and the further you get into the story and learn the truth of things, the better it gets. I couldn’t find any numbers for what the budget was on this film other than, well, low. But despite that, the makeup for Lo is pretty freakin’ awesome and the actor behind it (Jeremiah Birkett) does a fantastic job bringing the demon to life. The makeup for the other primary demon, Jeez, is also really good, although it’s not quite as seamless. Aside from a couple moments (Justin talking to his hand), the acting is really solid throughout, and each actor does a good job of encapsulating his or her character. It can be tough to hit all the angles in a movie like this, but director Travis Betz does a fantastic job of creating a balance that makes you laugh one minute and tugs on your heartstrings the next. Lo is a very cool, quirky take on the myth of “Orpheus and Eurydice,” and one I highly recommend. My Netflix Instant Queue is packed. When I say that, what I really mean is that it’s at the 500 movie limit, because anytime I see a movie pop up in recommendations that looks like it might be interesting, I add it. It also means that a lot of the movies I end up watching are the ones that are set be removed from Instant Watch. Late one night, a lost soul named Ink snatches 8-year-old Emma into the world of dreams. There, he hopes to use her soul to join the ranks of the evil Incubi. In the real world, Emma lies comatose, to the despair of her father, John. But the Incubi’s benevolent opposites — the Storytellers — rally to help Emma, motivating John to wage war for his daughter. To be perfectly honest, when I added it I thought it might be an anime. Turns out, it was a really well done indie film. Moreover, it was a great example of how much you can do on a small budget. The movie only cost $250,000 to make, but if it had been made by a major studio, that number could have easily soared to $25 million by ramping up the effects. Creative storytelling trumps just about anything in my book, including millions of dollars in special effects. And I loved the way this story was told, going back and forth between parallel worlds. The story was intriguing and touching, and the acting was really solid as well. Now, that’s not to say the movie lacked special effects; in fact, it had some really cool ones. The Incubi looked completely badass, and the fight scenes were pretty sweet. There were a lot of nice little touches here & there that added a lot to the atmosphere. According to IMDB, the filmmakers were unable to get a distributor, so instead they self-released in indie cinemas and on DVD/Blu-ray. But what I think is really cool is that they embraced piracy; the movie was downloaded over 400,000 times in a single week on torrent sites, which led to higher DVD/Blu-ray sales. 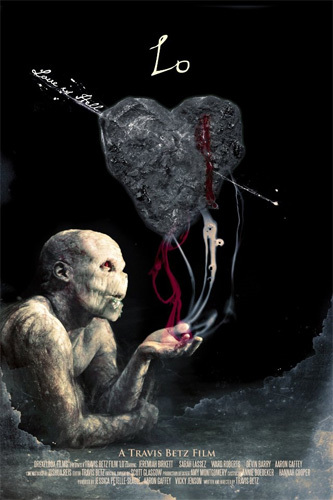 If you’re looking for a cool movie that’s a little bit different, give Ink a look. You can watch it for free on a lot of sites, including Hulu and Fancast.